Imogen's Typewriter. 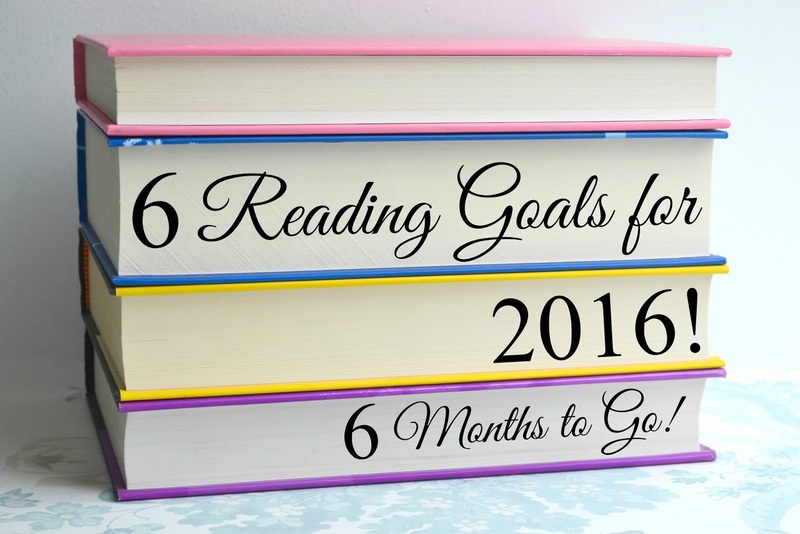 : My 6 Reading Goals for 2016: 6 Months to Go! I posted up my 6 Reading Goals for 2016 in January and thought I'd do a little mid-year check in now that it's July! I think it's important to re-visit goals because it's easy to not be able to see the forest for the trees. When you're just picking up book after book you don't always remember that you wanted to read classics, or non-fiction, or whatever. So here are my goals and how I'm doing! Three! Boom! So far I've read Green River Killer, a graphic novel but a non-fiction one so I'm counting it, I struggled through Hot Feminist by Polly Vernon and I rolled my eyes repeatedly at Fredrick Nietzsche's Aphorisms on Love and Hate. And, y'know, university work is non-fiction. Overall it hasn't been a totally positive experience so I'm not actively looking for non-fiction reads this side of the year. Does 597 pages count? Because I think it should. Katherine of Aragon: The True Queen by Alison Weir blew me away and I know I owe a full review on it but I seriously can't get my head around how much I loved it. Even though it took me a month to read. Probably because of the 597 pages. Plus, according to Goodreads the 20 hour audiobook of American Gods by Neil Gaiman translates into 635 pages? I'm not sure if I feel this goal is completed but I won't feel bad at the end of the year if this is it. The only classic I've read was my required reading of Dr Faustus by Christopher Marlowe. My plan to read Catch-22, 1984 or Brave New World hasn't happened- yet! Nope. Not even close. I have swapped a couple on Read it, Swap it and sold a few on eBay but my TBR remains ridiculous. Whelp. Apparently my goal was to halve the amount of unfinished series on my shelf! Well I finished one; the Red Rising trilogy. I've caught up with another; the Kathryn Dance books by Jeffery Deaver. I've been continuing on with the Kitty Norville books by Carrie Vaughn. However, I've also started three new series; the Lux series by Jennifer L Armentrout, the Harper Connolly Omnibus by Charlaine Harris and I'm currently reading the first Chaos Walking book by Patrick Ness that you might remember from my 'Eventually' TBR. In short, I'm failing at this goal. Done! I'm at 33 so far which actually isn't that great for me. I read 80 books last year and I was kind of hoping to keep that up. Unfortunately, degree work and classes and all sorts of other nonsense does not a lot of reading time make. Did you have any 2016 Reading Goals? How are you doing?